This class will meet on Tuesdays, August 14 and 21 from 7:00 to 8:30 pm. 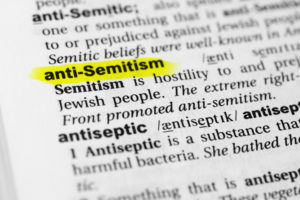 Anti-Semitism has become increasingly visible in the United States recently, yet many of us still struggle to identify and challenge it, particularly in progressive spaces. In this deep dive, explore what anti-Semitism is and how it manifests in contemporary spaces. Gain tools to challenge externalized and internalized anti-Semitism across the political spectrum, and discuss how communities can respond. This class will be co-led by Rabbi Shira and Alana Eichner. No one will be turned away from any of our classes due to lack of funds. For more information, please contact our Jewish Programming Associate, Annie.